1. 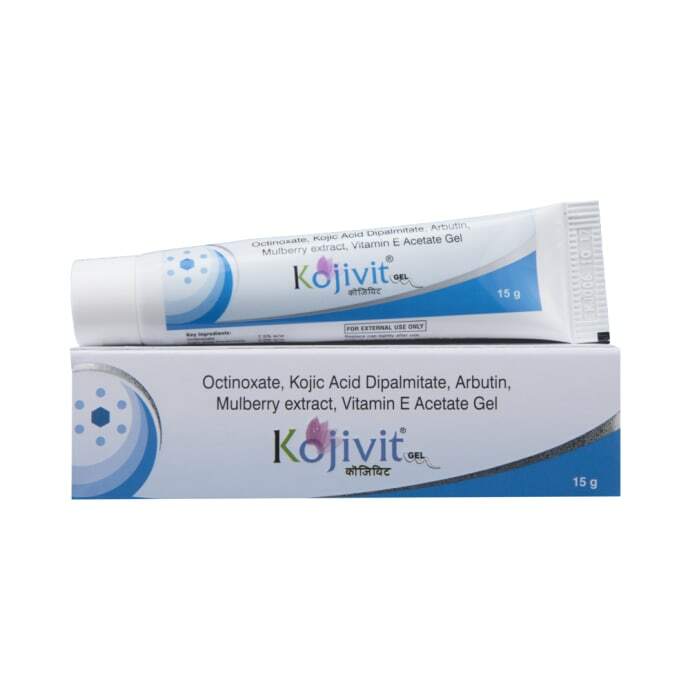 While most skin lightening products contain kojic acid, Kojivit contains kojic acid dipalmitate, which is much more effective than simple kojic acid, so it gives very fast and effective result ,which is visible from first use only. 2. Arbutin is considered the safest and most effective skin whitening compound which shows extraordinarily rapid and safe skin whitening properties. 3. Mulberry extract is very effective for skin whitening and it has anti inflammatory properties which promotes skin healing. 4. Octinoxate is a sunscreen agent to prevent further skin darkening from UVB light. 5. Vitamin E is a powerful antioxidant which protects skin from UV damage. Also improves skin texture and aids in moisturization. Take small quantity of gel and rub on face in circular motion till it disappears and dry completely. Use this gel every time you wash your face to notice visible effects. 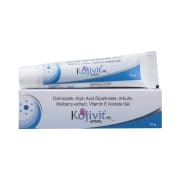 A licensed pharmacy from your nearest location will deliver Kojivit Gel. Once the pharmacy accepts your order, the details of the pharmacy will be shared with you. Acceptance of your order is based on the validity of your prescription and the availability of this medicine.